A nostalgic Alberta man has converted his garage into a massive, vintage video game arcade. 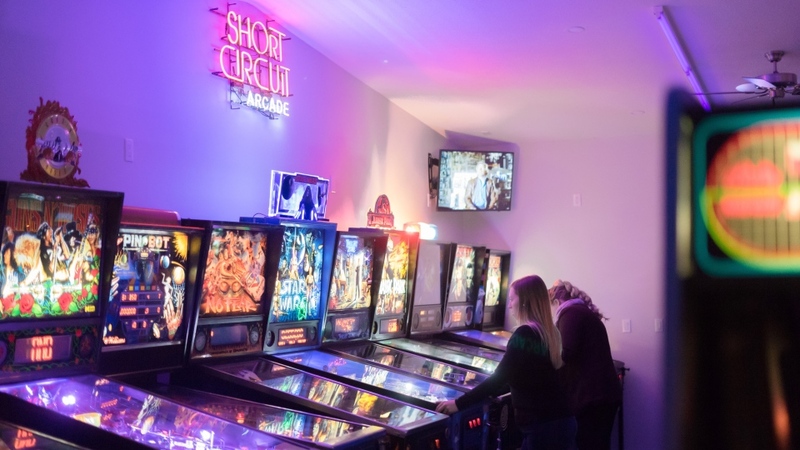 Matthew Russell has turned a newly built extension of his garage in Sherwood Park, Alta., into the Short Circuit Arcade, complete with glow-in-the-dark carpet and more than 80 fully restored machines. Among the games, Russell has refurbished some of the classics from his childhood, including Pac Man, Donkey Kong, Street Fighter and Mortal Kombat. “When I was a kid I used to play arcade games… I just had a love for video games,” Russell told CTV News Channel on Monday. 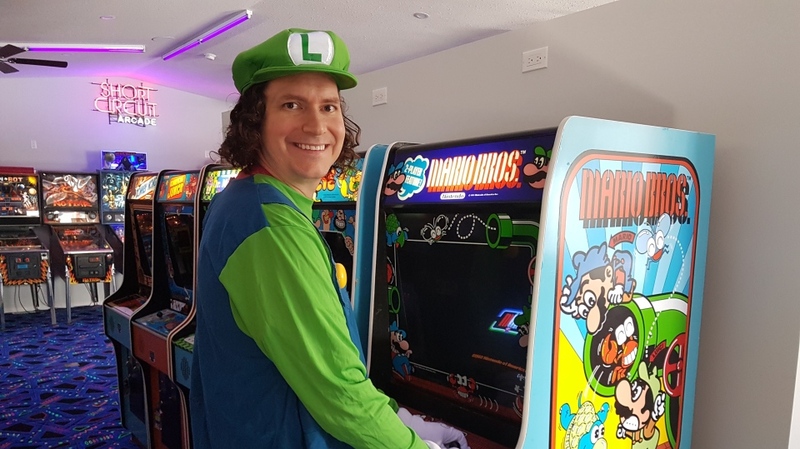 Russell, who works as an electronic technologist, began collecting arcade machines about 12 years ago, just as commercial arcades began shutting down. Ever since, he’s been was able to gather the machines for cheap and restore them back to working order. 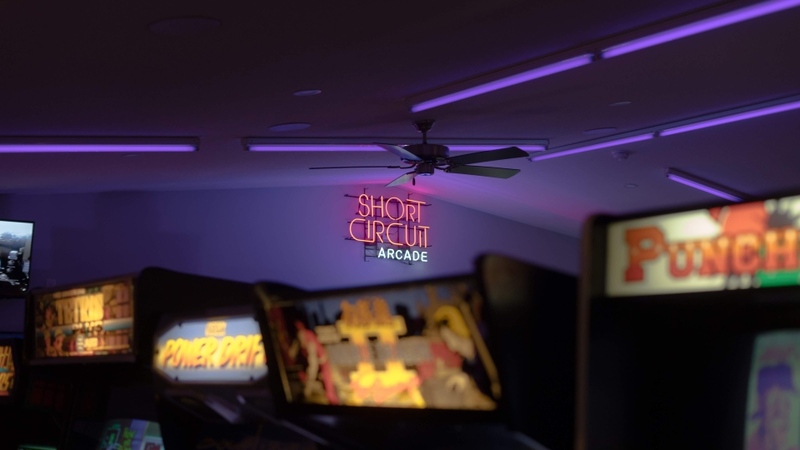 Over the years, he was able to gather so many vintage machines that his basement could no longer support them all, which paved the way for the garage extension and the creation of the Short Circuit Arcade. Russell chose the name as an homage to an old arcade called the Short Circuit in his hometown of Olds, Alta. Since completing the arcade, Russell says even his friends were shocked by the scope of the project. “They’re surprised that I have this many games, some of my friends knew already because they played, but quite a few didn’t know that I had this collection,” he said. Russell’s video game arcade is far from complete, however. He has another 88 machines in storage, awaiting repair. “Every time he’s like: ‘I found one that’s was on my list and it’s one I never thought I would find,’” his wife Shawna Russell Spady told CTV Edmonton last week. The arcade is not open to the public, but is available to book for special events. A preview of Short Circuit Arcade. There will be more games added when they are ready.